Having done a couple of drives now to reach hills that are sometimes a long way from main roads I can confirm that a) many of our roads are tiny and b) many of our drivers are maniacs. Rounding corners on these boreens is nothing short of an act of faith, yet countless times it seems that the drivers that come hurtling around the bend don’t even consider breaking when they see me approaching in the opposite direction. If I want to slow down that’s fine, but these folks are happy to stick at 70 kms and sure there’s a couple of milimeters between us. Anyway, I have airbags so I’ll press on with the task at hand. 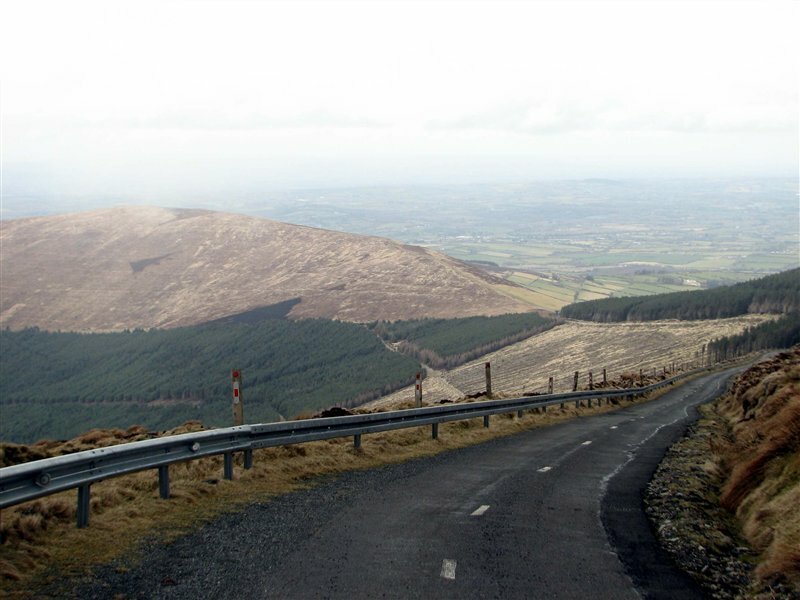 After finishing Brandon Hill I set my course to the nearby Mount Leinster, which at 795 meters is the highest point in both Carlow and Wexford. 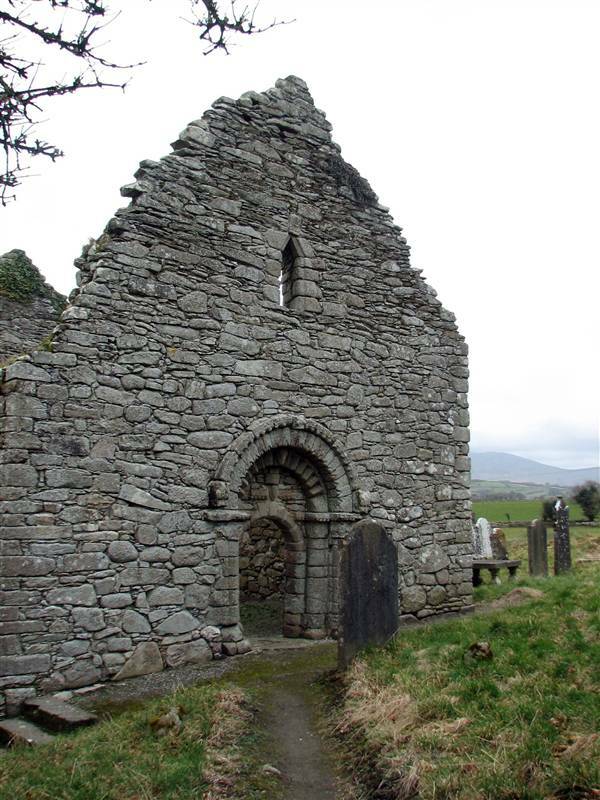 The ensuing tour of the back roads of Carlow and Kilkenny took me past the ruins a 12th century church in Ullard. It looked good so I stopped for a look around. There were lots of very old and weathered gravestones in the ground, and interestingly, some recent ones as well. As I went inside the church and reached the chancel?? at the back I noticed a crucifix placed in an alcove and bent over to take a picture. 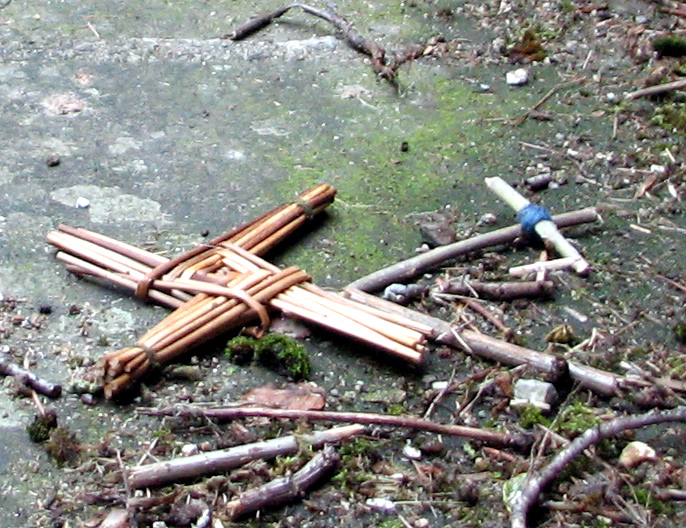 It was then that I felt a crunch under foot and looked down to see that the entire floor was covered in crosses, made from twigs, lollypop sticks and reeds. I suppose the site is a feature of local pilgrimage, but the effect was just a little creepy. 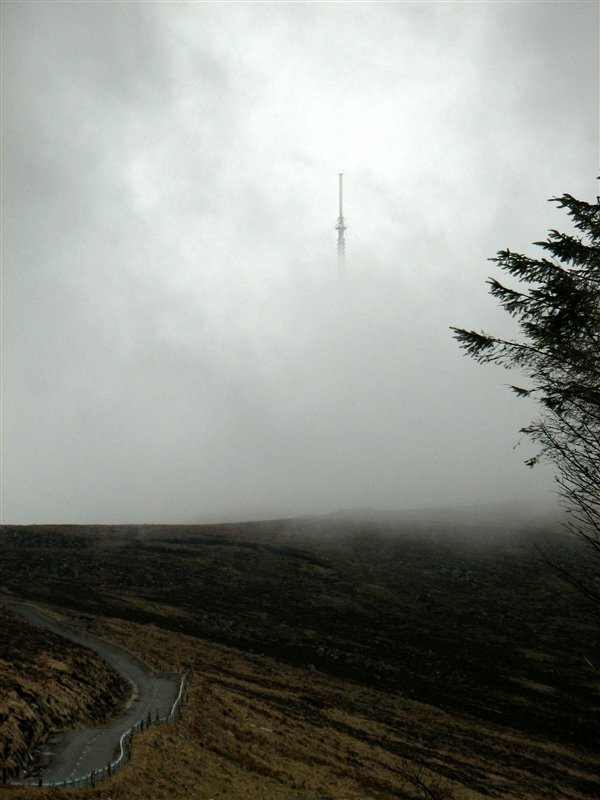 I carried on cross-country until I reached the access road for Mount Leinster, where I parked up, stuck on the hat and started up into the rainy clouds that obscured the hill. Yeah, walking the access road is not exactly Bears Grylls material but it’s a steep road, the clouds were about ten feet above my head and let’s face it, I didn’t see YOU up there now did I 🙂 It really is a steep hill and without being able to see anything due to the clouds it was a fair slog up to the summit, taking an hour and ten there and back. Looking down the access road - bring your skates. Face her for the mountain ! Wondering how your progressing now ? I have 20 of 26 hills completed as of mid-August 2010. I hope to get to Benbaun in Galway perhaps next week and expect to be finished by mid-November. Thanks for your comment, your house for sale at mountleinster.com looks fantastic! 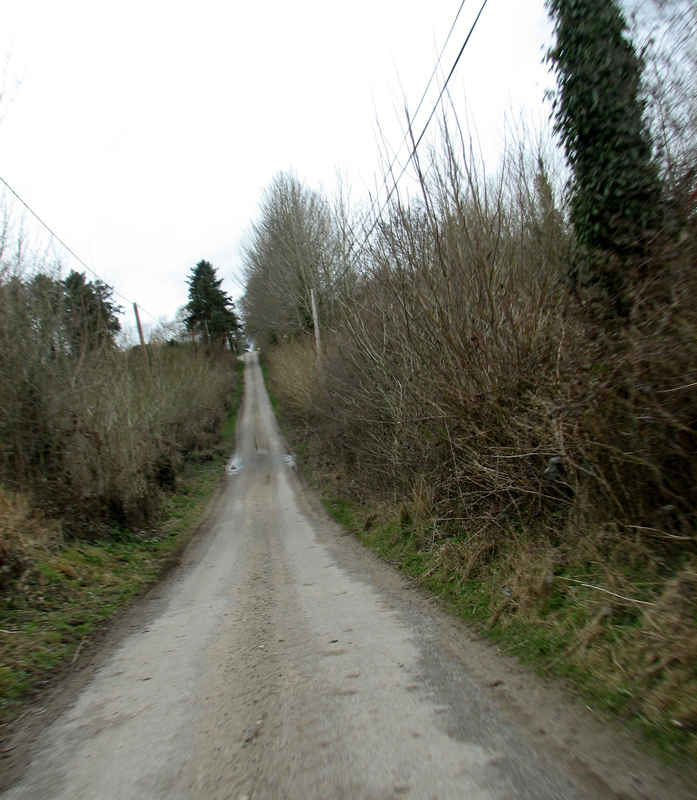 Up to 23 hills now, with Galtymore, Knockboy (in Cork) and Carauntoohil to complete over the next few weeks. Thanks for letting me know…I’ll return it to its rightful owners! Easy mistake to make though. Once you crossed over the river Barrow into the town of Graiguenamanagh, you were in county Kilkenny. Ullard Church is one of my fave spots around here. One thing you failed to mention about it though is the handball court that is made on the back of the church.